First-time director Rémi Chayé and his French-Danish crew took the time to get the story and look just right for potential awards contender Long Way North. Like its young Russian heroine, the animated feature Long Way North faced a long, challenging but eventually satisfying journey on its path to the big screen. Directed by first-time helmer Rémi Chayé, Long Way North — originally Tout en haut du monde — is a French-Danish co-production by Sacrebleu Productions, Maybe Movies, 2 Minutes, France 3 Cinema and Nørlum. It premiered at the 2015 Annecy festival, winning the Audience Award, and will arrive with an English-dubbed version for a rollout theatrical run starting Sept. 30 in the United States courtesy of Shout! Factory. 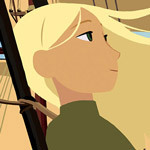 Told in a bright, flat 2D animated style that evokes the work of Cartoon Saloon — Chayé and Nørlum both worked on the Irish studio’s award-winning features — Long Way North tells the tale of a 19th century Russian girl named Sacha who idolizes her explorer grandfather Oloukine and his quest to be the first to reach the North Pole. When Oloukin and his ship, the Davia, goes missing, Sacha leaves her aristocratic family to find him, following with the help of a kind innkeeper, a pair of ship-going brothers and an often unwilling crew of seafaring collaborators. 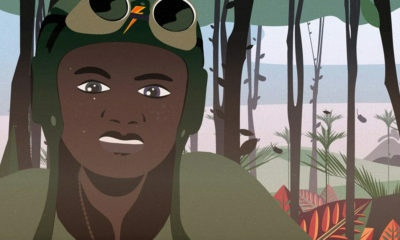 Though now getting wide release, the project’s origins go back to 2005, when Chayé was a student at the La Poudriere animation school in Valence and met Claire Paoletti, who was teaching screenwriting at the school, and heard her idea for a feature about a Russian girl who leaves her aristocratic family to search for her lost explorer grandfather. “The grandfather was the main thing,” says Chayé, who also had recently been fascinated by the diaries of Antarctic explorer Ernest Shackleton. Chayé began talking with Paoletti and sharing ideas. He had never directed a feature, but had worked as an illustrator, commercials storyboard artists and, briefly, a comic-book artist before shifting to animation. He worked on projects for Bruno Le Floc’h and Jean-Francois Laguionie before enrolling at La Poudriere in his mid-30s for more formal training. They began looking for producers and financing to turn the idea into a feature. 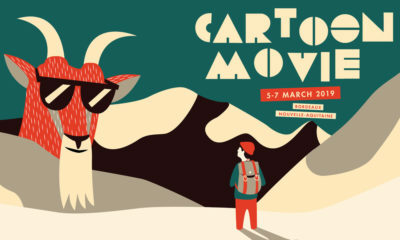 First to come on board was Ron Dyens, head of Sacrebleu Productions, who met with Chayé at the Annecy festival when the project was at an early stage. Dyens liked the idea and contributed some ideas in a back and forth that eventually led to his being added as producer and beginning to search for financing. Dyer soon sought advice from his friend and sometime colleague Henri Magalon, founder of Maybe Movies and a producer on the award-winning feature Ernest & Celestine. 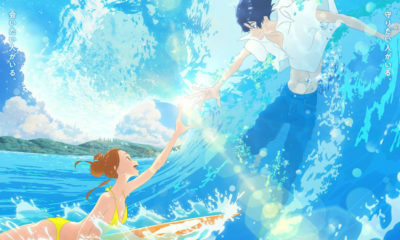 “He sent me the thing and it was great in terms of directing; the animatic was incredibly beautiful,” Magalon says. “But my conclusion … is that the story itself had problems. It was not an animated problem, it was a story problem.” Magalon came on as co-producer, bringing financing with him, and was instrumental in reworking the story before animation began . Dyens also got Claus Toksvig Kjaer of Danish animation studio Norlum to sign on after an hour-long meeting at the Cannes Film Festival. Nørlum had worked on Cartoon Saloon’s feature Song of the Sea and in need of a follow-up project. 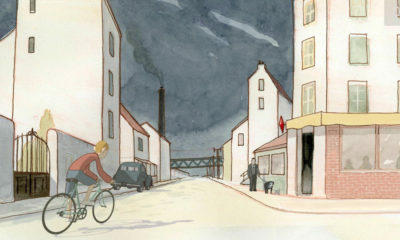 The studio, which has locations in Viborg and Copenhagen, did slightly less than half the animation in the movie, including coloring and clean-up, Kjaer says. . But the script was in constant flux. Paoletti’s first draft earned support from France’s CNC and she enlisted the aid of Patricia Valeix, who ended up co-writing the script, with a third writer, Fabrice de Costil, rewriting it again with the new angle of the grandfather’s lost ship as the focus for Sacha’s quest. Production on the movie was very collaborative, with Chayé open to input and contributions from everyone. Magalon says the producers and crew were all involved in working on the script, the animate and on finishing the financing. “We worked together jointly on all the decisions of the line production: Where to locate the studios, what team to hire, how to accompany Remi the best,” he says. One thing Chayé insisted on was as much gender parity as possible on the crew. “It’s more natural,” he says. “I tried to balance it as much as possible.” The crew count peaked at about 75 people, with about 30 working at Nørlum’s two Denmark locations. Reaction to the pic has been positive and strong, with the filmmakers having brought it to the United States and Japan to show at studios such as Pixar, LAIKA and DreamWorks. Now, audiences — and awards season voters — in the United States will have a chance to see the film for themselves.